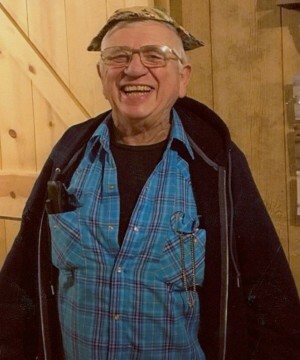 Dallas R. Eichmeier - age 70 of rural Polo, MO passed away peacefully just after noon on Friday, April 12th, 2019 at his home surrounded by his loving family. Dallas was born on August 2nd, 1948 the son of Romaine and Loella (Langston) Eichmeier in New Hampton, IA. He was a 1966 graduate of Ackley-Geneva High School. Dallas worked at Clay Manufacturing Company in Cedar Falls, IA as a welder and maintenance worker. After a few years he went to work for Chamberlain Manufacturing Company in Waterloo, IA where he worked as an industrial electrician, he then left there and started an electrical company with his brother Byron. He then worked for John Deere and after an agriculture down turn he came to Missouri to work for General Motors and after that Ford Motor Company, retiring in 2006. On December 24th, 1994 he was united in marriage to Le Anne Honeycutt in Independence, MO. Dallas liked to farm, raise cattle, ride horses, vacation and spend time with family. He found out last year that he had lung cancer and fought a hard battle until the end. He will be missed for his family values and sense of humor. Mr. Eichmeier was preceded in death by his parents and son, Samuel Eichmeier. Survivors include: wife of 25 years, Le Anne; daughter, Pamela Schmidt; daughter, Sandra Eichmeier; daughter, Tamara Pontious; daughter, Katelyn Eichmeier; daughter, Shylow Morton; daughter, Taylor Morton; stepson, Adam Morton; stepson Andrew Morton; sister, Karla Rotgers; sister, Darnell Nederhoff; brother, Byron Eichmeier; 13 grandchildren and several nieces and nephews also survive.